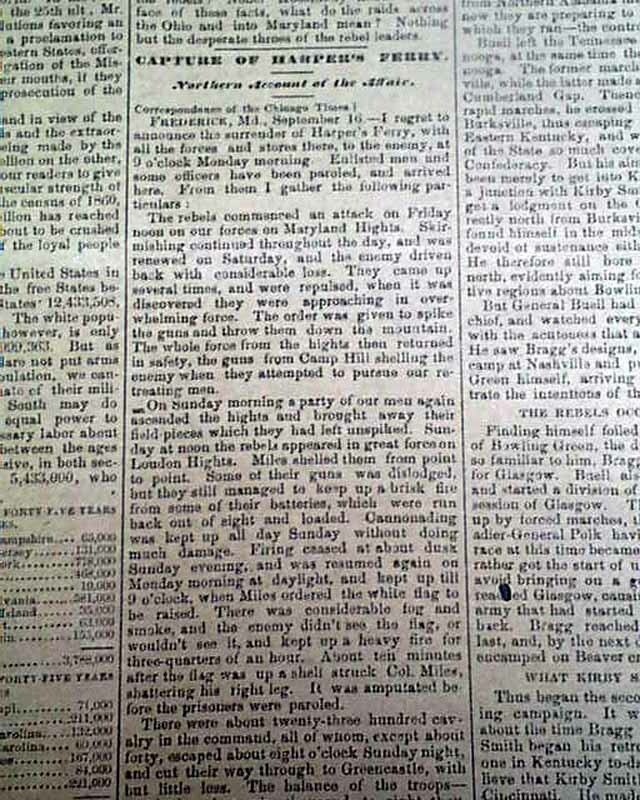 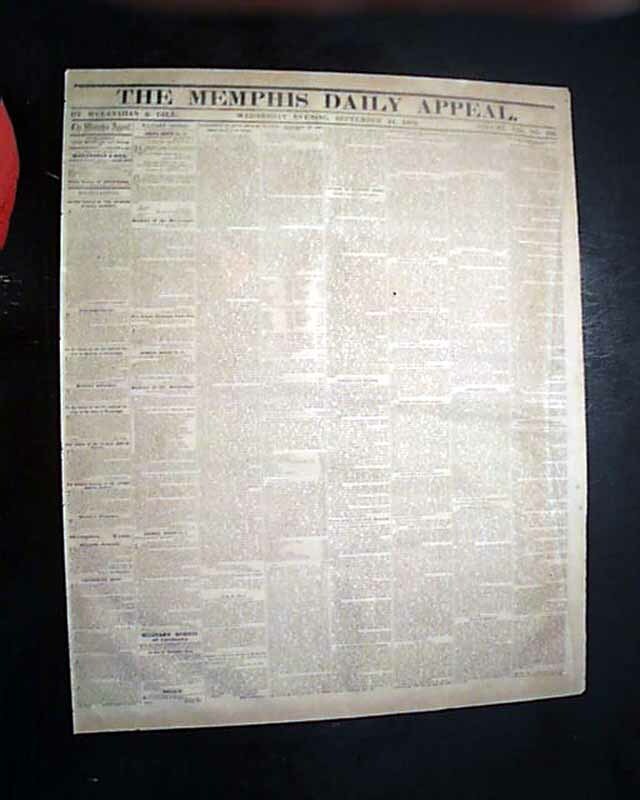 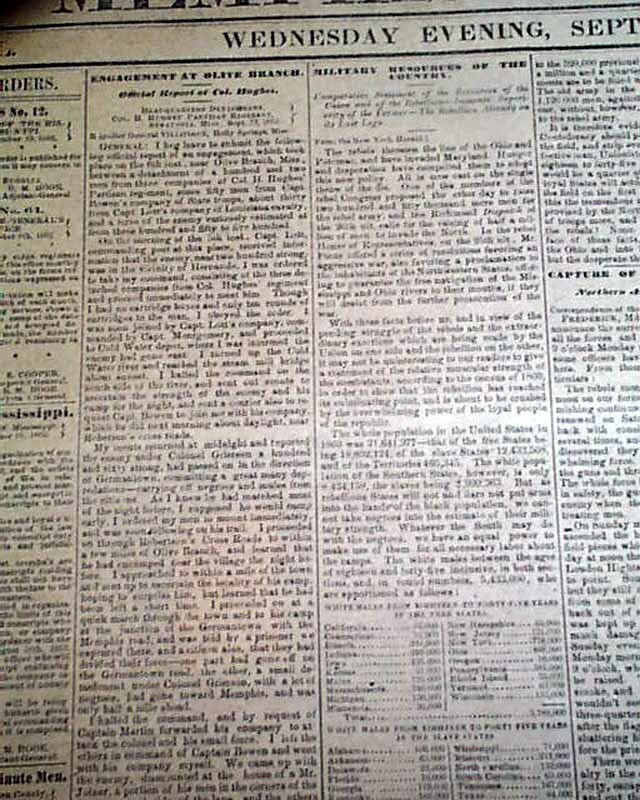 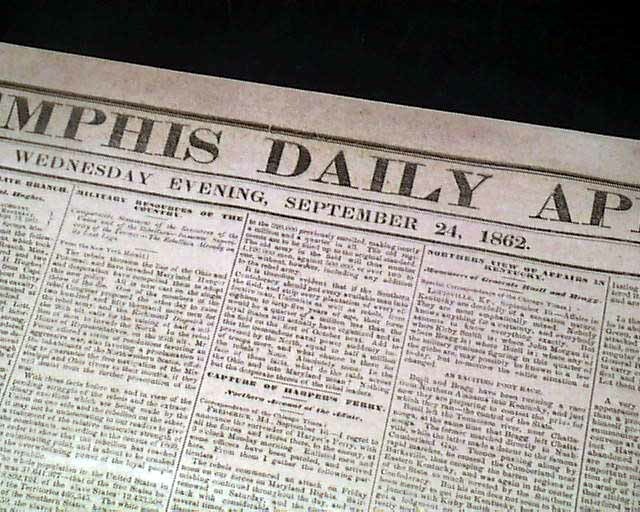 The front page has: "Engagement at Olive Branch" "Military Resources of the Country" "Capture of Harper's Ferry" "Northern View of Affairs in Kentucky" and a nice report on Antietam with: "The Battle on Saturday, Sunday & Monday--McClellan's Reception at Frederick". 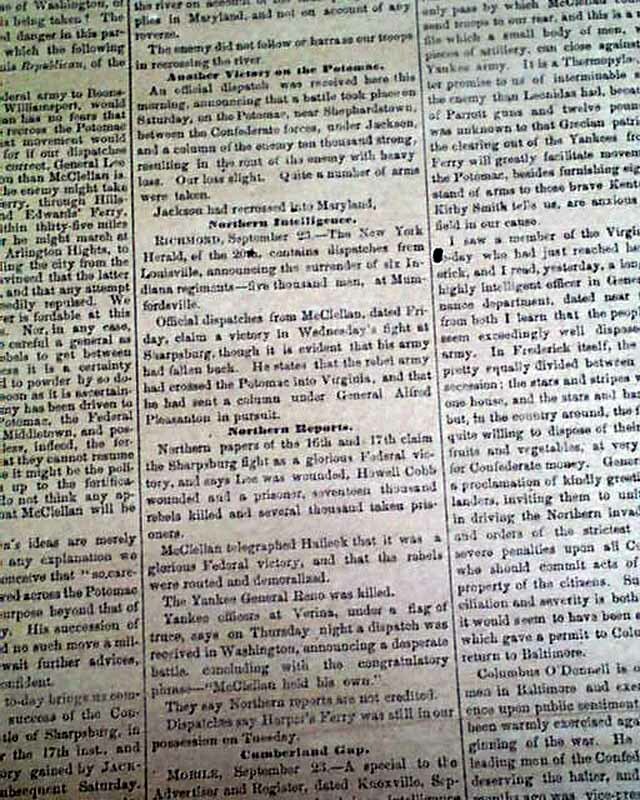 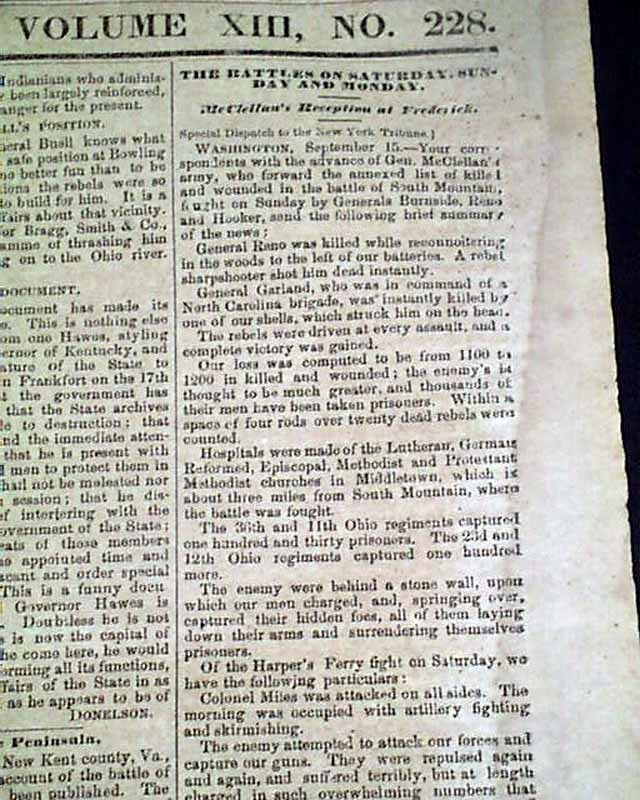 Page 2 has much more on Antietam with: "Good News From the Potomac" "A Succession Of Confederate Victories!" 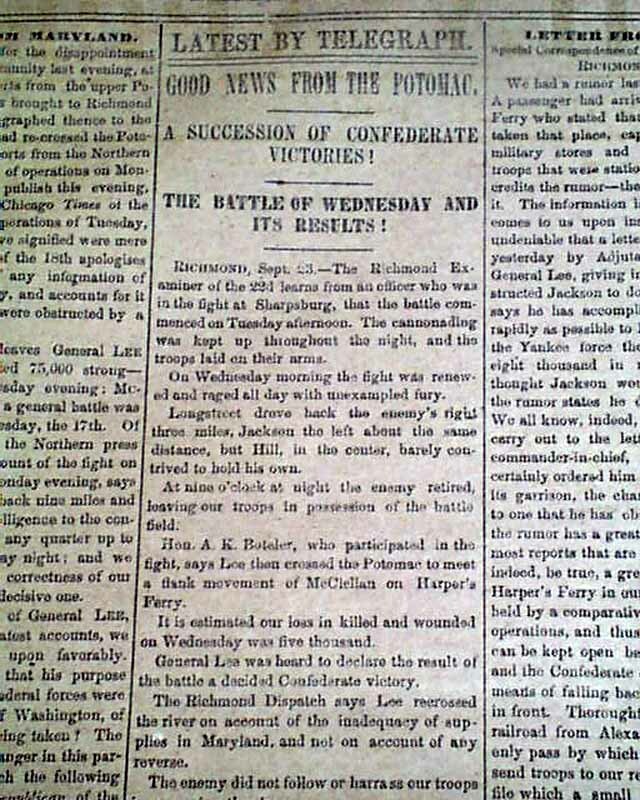 "The Battle of Wednesday & It's Results!" 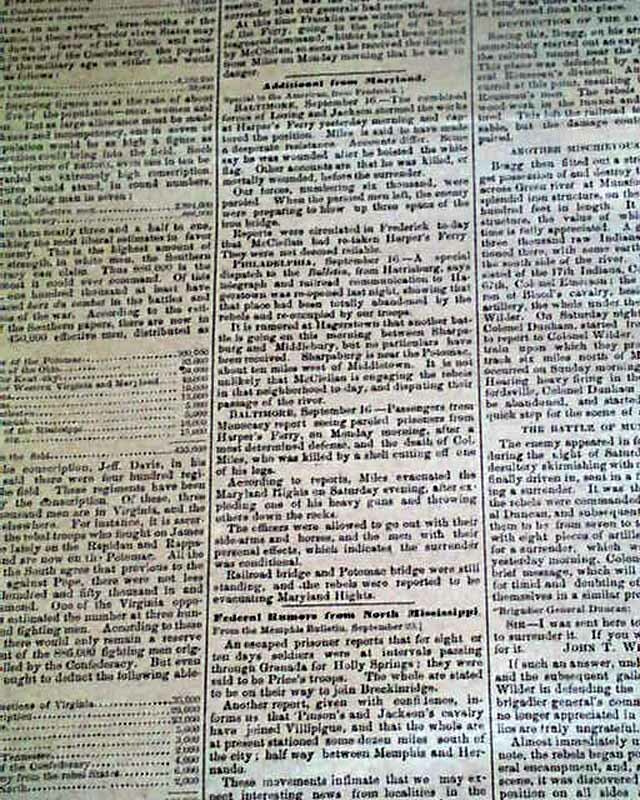 "The War In Maryland" "Federal Report of the Battles on Sunday Monday and Tuesday" "Great Battle Anticipated on Wednesday". 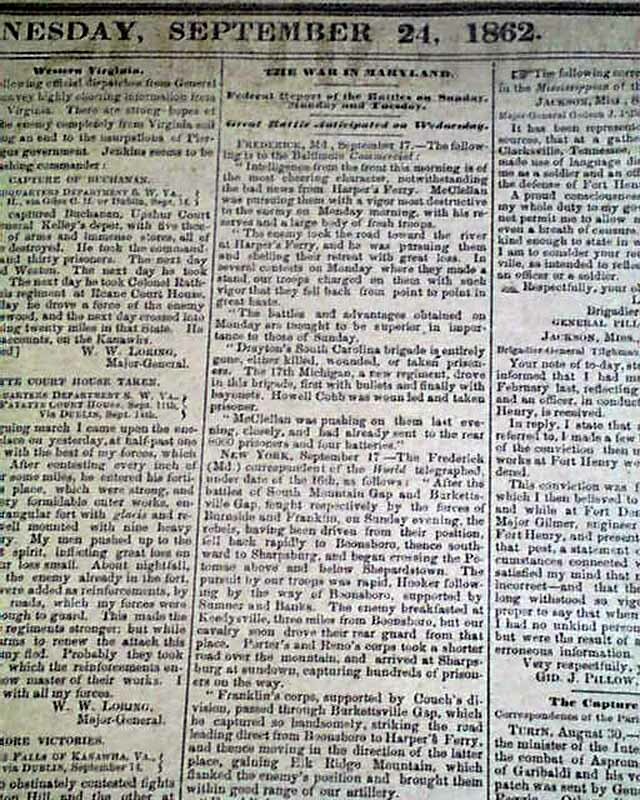 Many other war reports as well.